First, Ricky Rubio hits a three pointer for the Minnesota Timberwoves to tie the game up 91-91 with less than two seconds left. 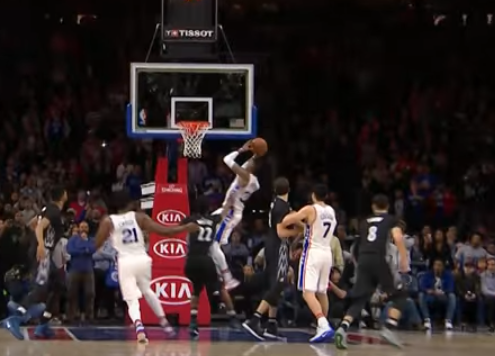 Then, the Philadelphia 76ers come up with a fantastic in-bounds play as they find Robert Covington cutting to the basket. Covington makes a very athletic play and hits the alley-oop lay-up as time expires to give the 76ers their 9th win of the season.